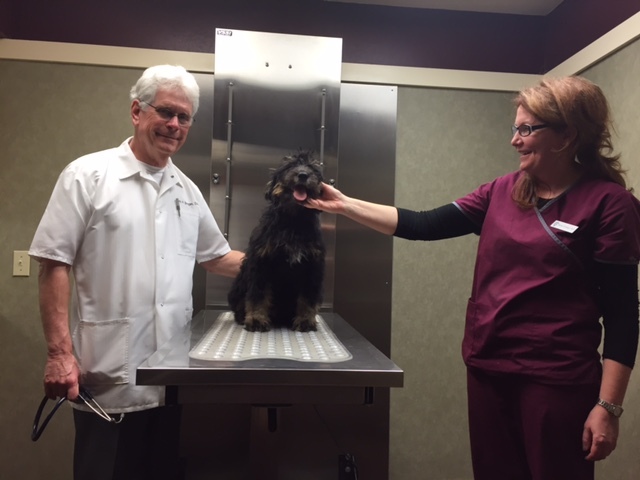 Selecting the right veterinarian for you and your puppy is an important decision. Erickson Veterinary Hospital in Chico, California. Here are some things to evaluate when making your decision. Ask for recommendations from your family, friends, and trusted neighbors who have a keen interest in their dog's health and well-being and have a similar philosophy to dog ownership as you. Call a couple practices to obtain information on hours, number of vets on staff, after hour emergencies, and friendliness of staff answering phone. Ask average cost of routine care, such as wellness exams, titers, and teeth cleaning. Also ask how many dogs of the same breed as yours are seen by the practice. What diagnostic equipment is available? Are they set up to do x-rays, ultrasounds, EKGs, blood work? Or do they refer these services to specialists in other locations? Schedule an appointment prior to receiving your puppy with one or two of the vets you are most interested in. Some vets will do a preliminary visit at no charge. Write down a list of questions to take with you to the preliminary visit. Evaluate communication skills, your personal comfort talking with the vet and staff, cleanliness of facility, and other pet owners interactions with staff. Discuss your philosophy of dog ownership, i.e. allopathic, integrative or holistic. Discuss your position on vaccinations as well as the vets position on vaccinations. What is your overall impression? Do you feel confident in the vet's knowledge, professionalism and care in general for animals? What about the staff? Any qualms about leaving your puppy overnight should it ever be necessary? Don't be shy about asking questions. Your puppy can't speak up, so you need to be brave to be the advocate your puppy needs. Don't feel locked in to your vet once you have made your choice. Hear of another vet that is $100 cheaper for teeth cleaning from a trusted friend? Take your dog there for that service while maintaining your wellness exams at your regular vet. I promise your dog won't tell his regular vet on you. in dire need of one.